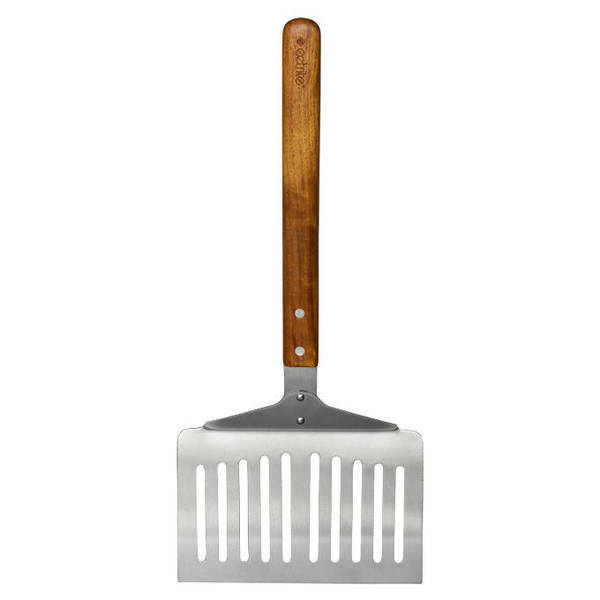 This braai essential combines sleek polished stainless steel with a riveted acacia wood handle. The heat-resistant turner is angled for maximum maneuverability and slotted for draining fats and oils for a healthier meal. The extra length head is assists in lifting and turning delicate fish fillets, whole fish and seafood cakes on the grill.